BEST For Seniors SCORE fall prevention exercise classes are unique. Instead of the drudgery of traditional exercise instruction, SCORE classes are fun and entertaining. They’re frequently filled with laughter. But, we’re very serious about exercise. While class members are having a good time, they’re also getting a complete full-body workout that makes them feel good. 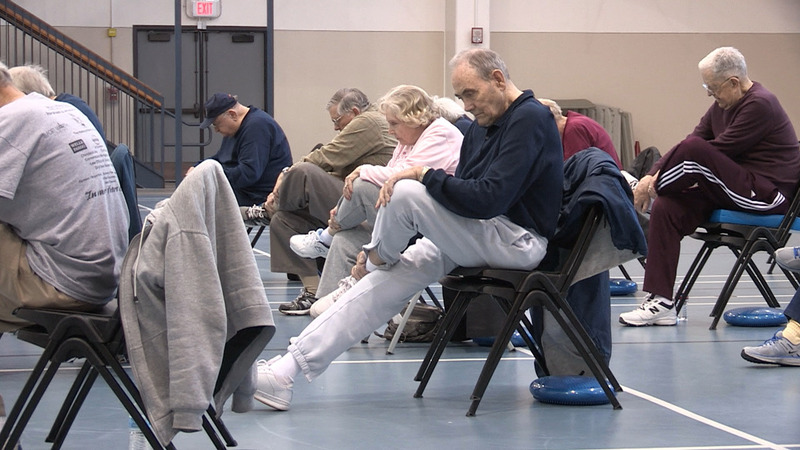 SCORE classes have two primary goals: Fall Prevention and Physical Fitness. The program is designed to improve the strength, coordination and reflexes of the participants, as well as their balance, agility, flexibility and mental acuity. SCORE classes challenge both the body and the mind. We help seniors keep their independence by helping them maintain their physical and mental capabilities and a positive attitude. Our classes are fun! BEST For Seniors SCORE fall prevention exercise classes are available at leading retirement communities and senior centers.